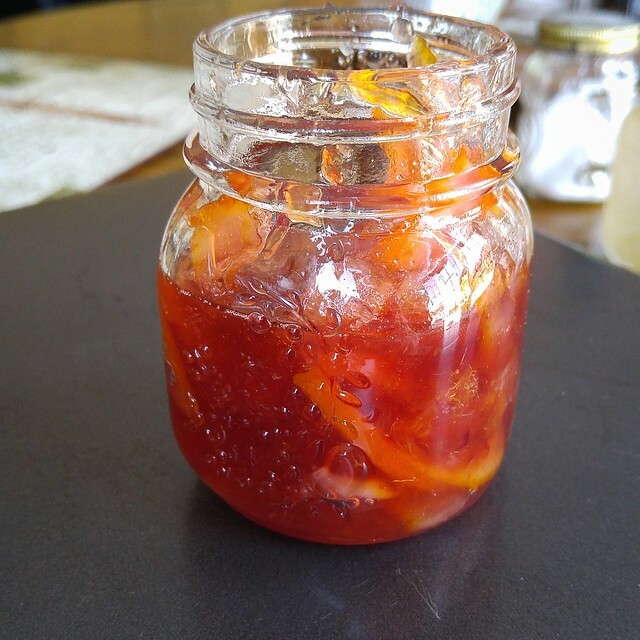 Tiny Batch Blood Orange Marmalade #SundaySupper (Toast Topper #77) | What Smells So Good? When I make jam, jelly or marmalade "off season", it's usually purely for my mom and I to enjoy. Nobody else here eats the stuff, which means that standard-sized batches of preserves require either heating up the waterbath canner or scaling things way back. My choice is usually an easy one - being a lover of variety, eating any Toast Topper, no matter how delicious, for months on end is sheer drudgery to me. 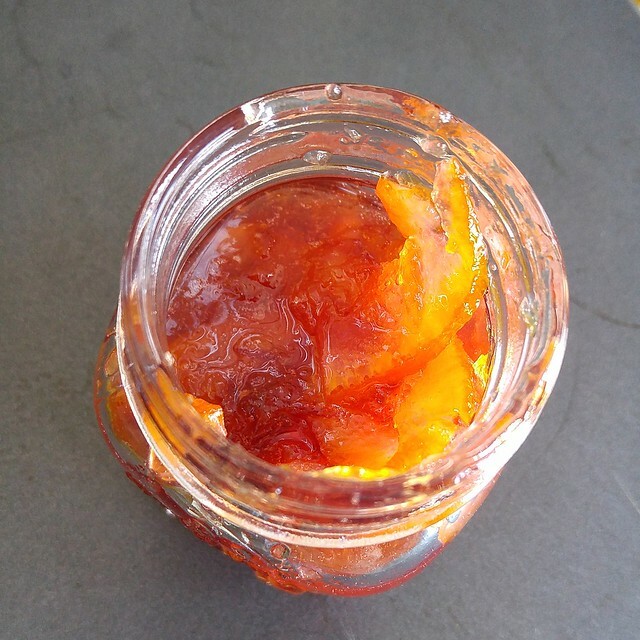 For jam and jelly, I rely on flexible-batch pectins to keep things set, but with marmalade it's even easier! With the last two blood oranges in a bag that I had purchased last week, a spoonful of ginger and a hint of vanilla, I set about making a teeny tiny batch of a marmalade seen on Food in Jars, which is made ridiculously simplistic by using an overnight soak, rather than a nitpicky slice and dice method, to extract the pectin. 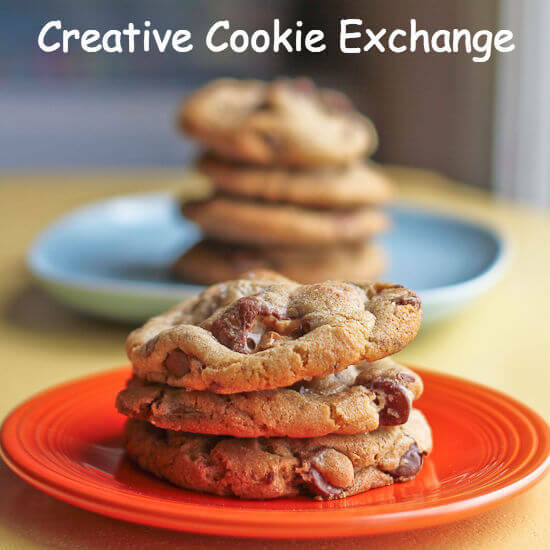 While the overnight time frame is a pain if you don't plan ahead, a batch is a great accompaniment to Sunday brunch and even works wonders on grilled meats like chicken. This #SundaySupper, our gang is creating Citrus Recipes That Will Make You Smile. At the end of a less-than-friendly week, I'm looking forward to lifting my spirits! Trim away both ends of the oranges and slice in half lengthways. Core the oranges and pluck out any seeds. Bundle the seeds and cores in cheesecloth (I used a muslin tea bag) and tie shut. Set aside. Cut the orange halves in half (so you have quarters), then slice quarters into thin slices. Put slices and cheesecloth bundle into a bowl and cover with the water. Refrigerate overnight. In the morning, remove the cheesecloth bundle, squeezing out as much liquid as possible, and transfer the remaining mixture to a heavy bottomed pot. Add the sugar and ginger. Take the pan off the heat and let it cool for 2 minutes, stir in the vanilla and pour into prepared jars. Wipe rims, apply lids and rings and process in a boiling water bath canner for 10 minutes, or store in the fridge up to 3 weeks.